Many historic barns, iconic staples of rural America, are disappearing. This poses a real challenge for preservationists. 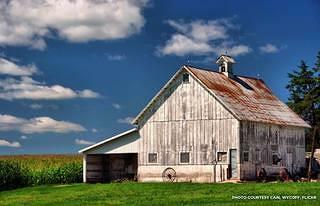 Barns are as American as apple pie—emblematic of our agricultural heritage and rural character. But around the United States, many older and historic barns are deteriorating and disappearing, threatened by changing farming practices, urban sprawl, and the complexities in maintaining these unique structures. 1. Learn about the structure’s significance. How important is the barn? Is it unusual? Is it an important representative of a type of barn? Perhaps an architectural or visual landmark? Check out our toolkit on researching your property’s history for more tips on how to uncover the barn’s story. 2. Understand the specific threats to the barn. Typical obstacles include safety concerns, financial issues, encroaching development, farm consolidation, and change of ownership. If the owner is unavailable, collect what information you can from neighbors, colleagues, and other likely sources. 3. Gauge community support. What is the current (or potential) support for the preservation of this structure? Identify the stakeholders, and see how can they help and what are they willing to do. Talking to the owner, assisting with repairs, finding a new owner, and providing expert consultations or financial assistance are some of the ways that community members can help save a barn. By gauging community support, you can find people willing to help save your historic barn. 4. Find your fellow “barn people.” Public educational programs are a great way to connect with other folks interested in barn preservation. Programs can include local lecture series, hands-on workshops at barns that need repair, and barn tours. 5. Connect with the National Barn Alliance. The National Barn Alliance is a nationwide, nonprofit organization coordinating efforts to save America’s historic barns. They offer a wide array of barn preservation resources on their website, plus newsletters, conferences, barn tours, and meetings. It's a direct way to connect with barn enthusiasts around the country. 6. Look into state and local barn preservation programs. Most will offer educational materials and technical help, recognition programs, and, in some cases, financial assistance. Many also help conduct survey programs and advocate for barn preservation. Your state historic preservation office should be able to point you in the direction of a program working in your area. 7. Analyze the structure’s viability. 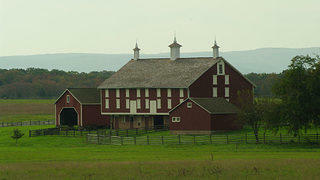 Barns are often demolished if they are vacant or under-used and if repair seems too expensive. Work with the owner to get an independent assessment of the barn's condition and to explore repair or reuse alternatives. Alternative uses can include a switch in agricultural enterprise (dairy barn to seed storage, for example), commercial uses (markets and supply centers), and public uses (clubhouses, theaters, even conference centers). 9. Conduct barn surveys and seek out historic designation. Historic resource surveys help you document significant building types, record an area’s agricultural history, pinpoint threats, and articulate what has been lost. You can then use this information to push for historic designation and listing in local, state, or national registers. Such listings can, in turn, unlock regulatory and promotional perks as well as trigger financial incentives, such as tax credits or grant eligibility. 10. Get eyeballs on your project. Publicly identifying a barn as threatened, such as including on an endangered list, can help draw attention to the issue. 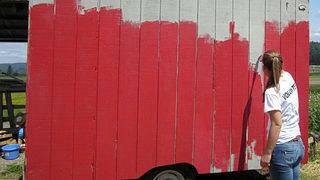 You can also attract coverage by inviting reporters to barn rehabilitation events for firsthand visuals and interviews. Another method is to pitch feature articles about an area’s unique barns to the local newspaper.